Notes: Castle of Bouka (Greek: Κάστρο της Μπούκας, from the Italian word bocca) was the first major Ottoman fortification of Preveza, in northwestern Greece. It was constructed by the Ottomans in 1478 and controlled the straits of the Ambracian Gulf. 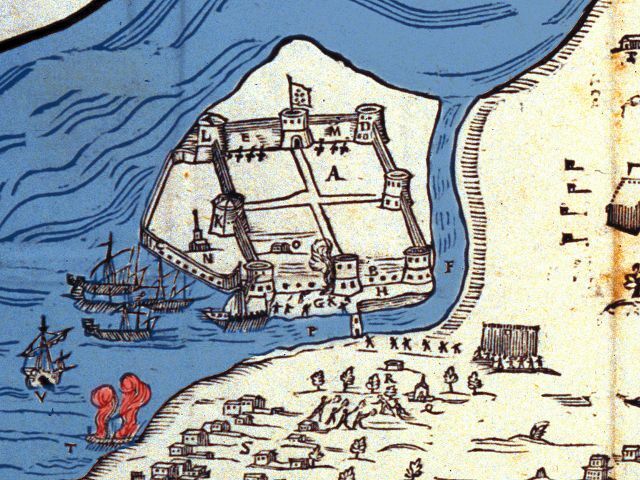 In 1701, the Venetians blew the castle up before they handed Preveza over to the Ottomans, according to the terms of the Treaty of Karlowitz. The castle of Bouka was standing upon the site which today is called "Paliosaraga" (Παλιοσάραγα, "Old Seraglio"). The summer seraglio of Ali Pasha of Yannina was built on the castle's remains, during the early 1810s. After Preveza's liberation by the Greek Army in 1912, an army supply unit was based on the site of the castle.Today, there are very few remains of the castle of Bouka, despite the fact that the site has generally not been built up.